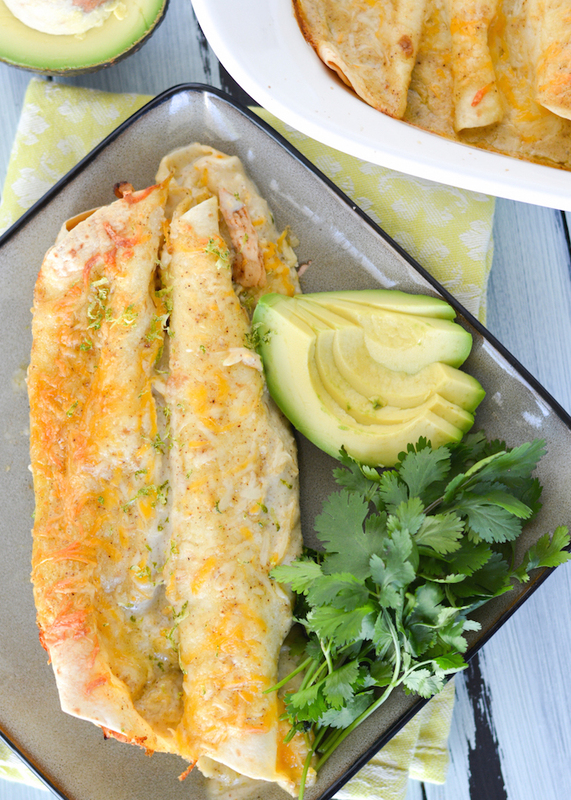 These Honey Lime Chicken Enchiladas are sweet and tangy, with lots of cheese and a delicious, creamy green chile sauce. 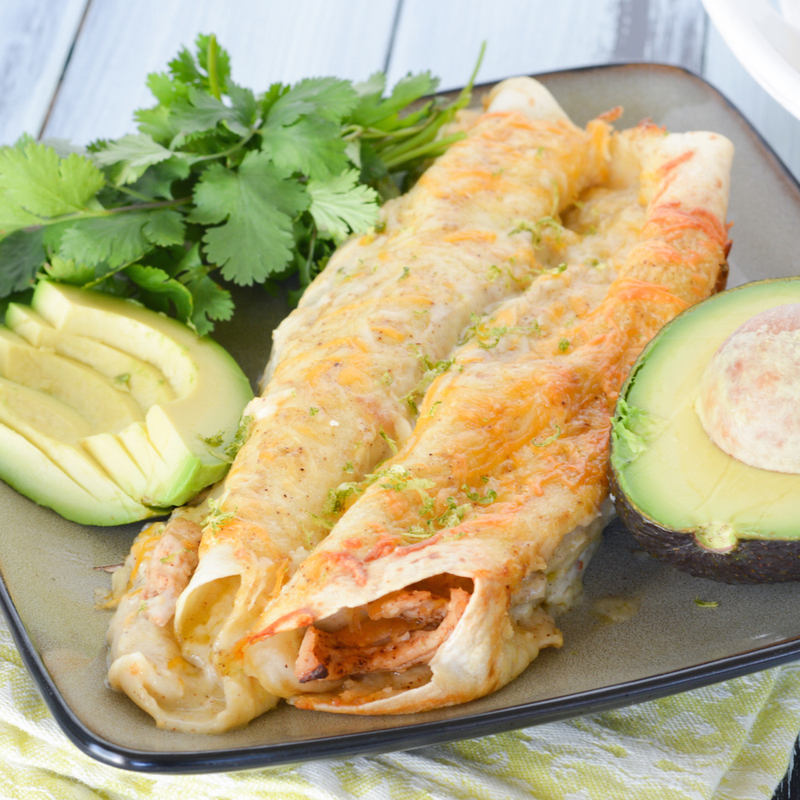 A unique twist on the classic Mexican dish! When we first moved to Enid, we were really exited because we saw a handful of little hole in the wall Mexican restaurants. Nick and I met at a Mexican place in Daytona Beach, possibly the best Mexican place in the world. Then we had some really good ones in Pensacola, and it became one of our favorite cuisines. Our excitement disappeared after we tried 4 or 5 of the little places and were disappointed every single time. So I make a lot of Mexican at home, and I have to say, I can make a pretty rockin’ enchilada. I was intrigued by the honey in this recipe. Nick practically drinks honey straight from the bottle, so I thought he might like them! Whisk the first four ingredients together and toss with chicken in a ziplock bag. Let the chicken marinate in the fridge about an hour. Pour ½ cup enchilada sauce on the bottom of a 9x13 inch pan. 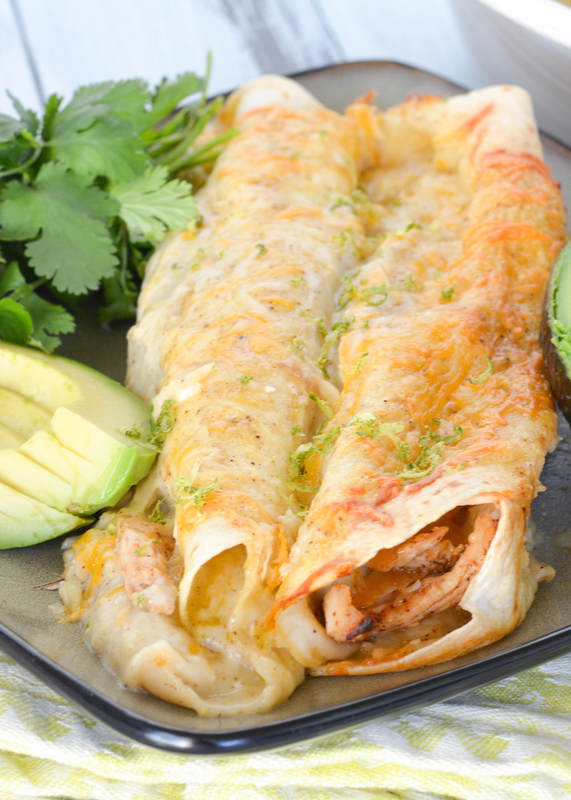 Fill the tortillas with chicken (saving marinade) and cheese, saving about 1 cup of cheese for sprinkling on top. Put the tortillas in the pan as you go. 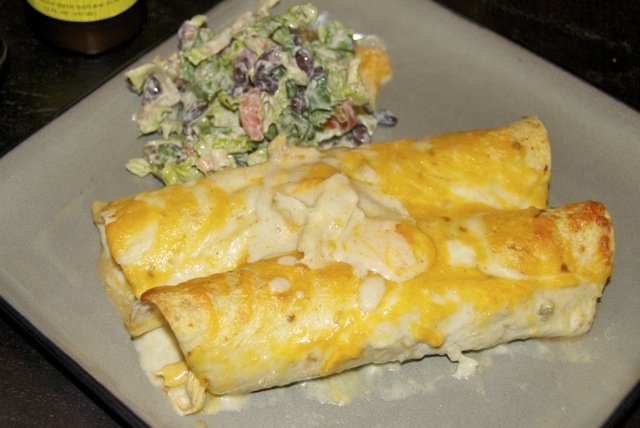 Mix remaining enchilada sauce with the heavy cream and leftover marinade. 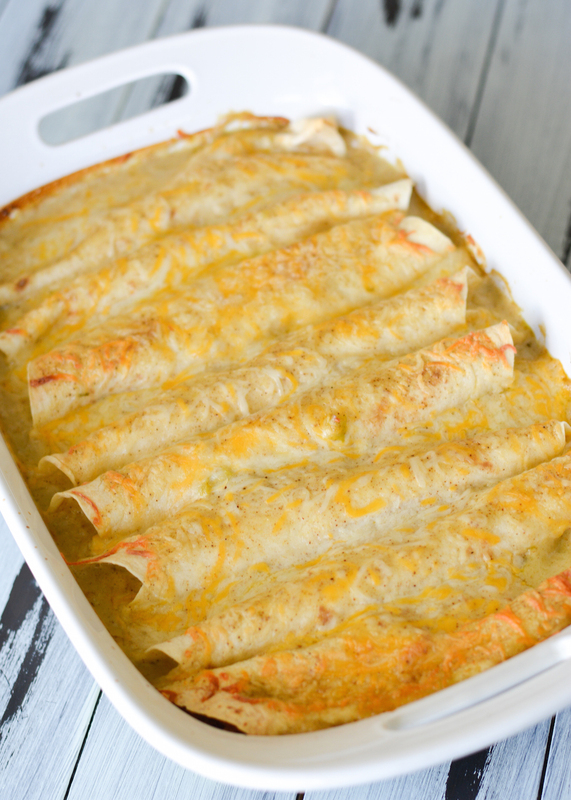 Bake about 30 minutes, until top of enchiladas is brown and crispy. Adapted from Six Sisters’ Stuff. 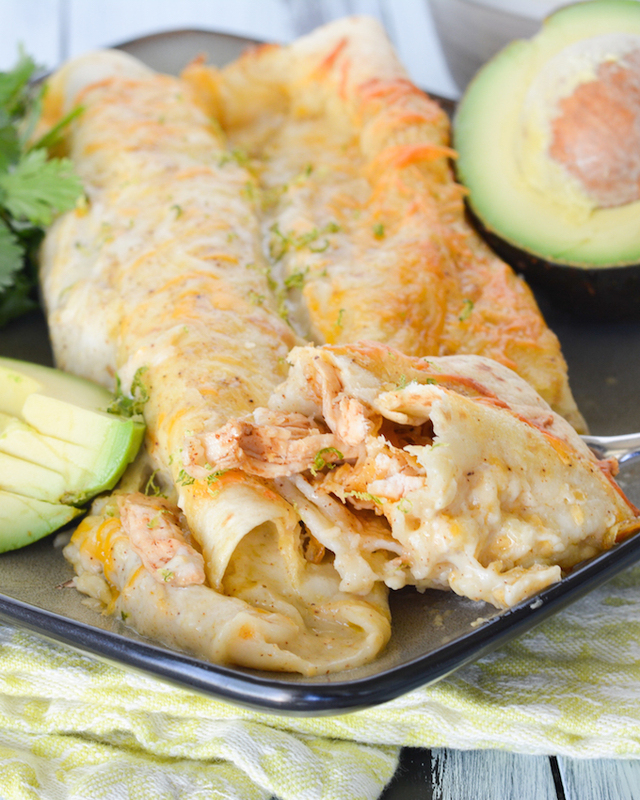 The enchiladas were very different… but very good! The honey and chili powder in the filling went well together and the salty cheese balanced out the sweetness perfectly. Nick was a fan too! Note: Photos updated 5-11-16. Original photo below.